Choose one template from the list, e.g. Time trecking and click Download Desginer. Install InLoox PM Report Designer and open it. 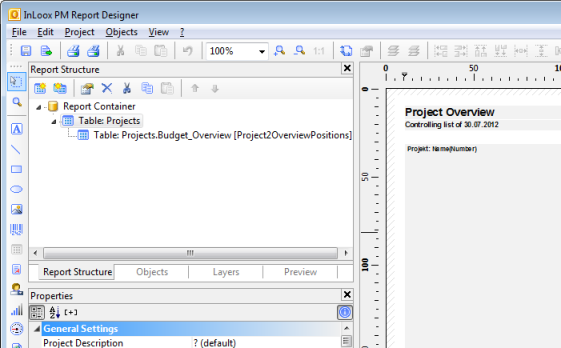 In the InLoox PM Report Designer dialog box select InLoox Report and click Design. and choose Text from the drop-down list. Work with the report designer - InLoox • Copyright 1999-2019 © InLoox GmbH. Tous droits réservés.